The Hello Kitty Nerd USB Mimobot Flash Drive by Mimoco can store your utmost important projects and term papers this school year. 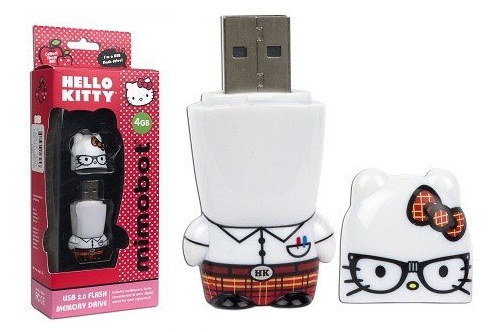 Dark-rimmed glasses, plaid pants and pocket protectors are what make this particular Hello Kitty USB special. Special features: Comes with plastic gift box. Preloaded with: mimoZine Issue #2, SoundBytes, Icons , Desktop Wallpapers.